Although Netflix is still delivering plenty of the binge-worthy goods, it hasn’t been the only streaming game in town for a while. Hulu’s now offering original programming and hand-me-down films; Amazon Prime is the proud home of the award-winning series Transparent; and Crackle’s got Joe Dirt 2. So today’s viewer has plenty of options, regardless of taste. Now it looks like the BBC is entering the online-streaming waters, one Colin Firth foot at a time. POLITICO New York reports the BBC is planning to launch its own streaming service as a means of generating more revenue. BBC director-general, Lord Hall, made no bones about wanting to make some bones off people’s nostalgia for programming like Upstairs, Downstairs or their desire to catch up with the EastEnders. As gauche as the broadcaster undoubtedly found it to talk about money, the BBC is publicly funded (at a declining rate), just like our own PBS. And since the BBC has already gone the Sesame Street route with some of its programming, another source of income presumably had to be found. The BBC intends to offer a monthly subscription service similar to HBO Live, or even its own iPlayer, which currently helps viewers play catch-up with its shows. The planned service will have a different interface and content, though. The new revenue stream(s) will be channeled into creating “as much as possible in content for U.K. audiences,” and eventually establish BBC Studios, a production company that will provide original shows on commission to other networks. 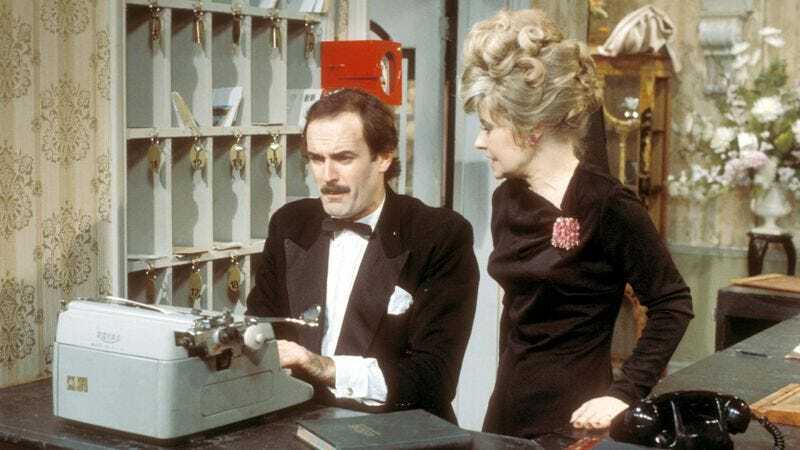 But since the British are already watching (and paying for) BBC’s content, the new well of subscribers will be made up of Americans, some of whom are probably fans of Fawlty Towers (which is no longer available on Netflix). There is a smidgen of bad news for stateside viewers—the current crop of popular BBC shows like Sherlock, Doctor Who, and Luther won’t be a part of the new streaming service’s catalog. That’s due to AMC’s controlling interest in BBC America, which already has a lucrative rights deal in place. Instead, the BBC will draw on older content that may include The Office, Monty Python’s Flying Circus, and Our Friends In The North (which we’ve been waiting on for a while).